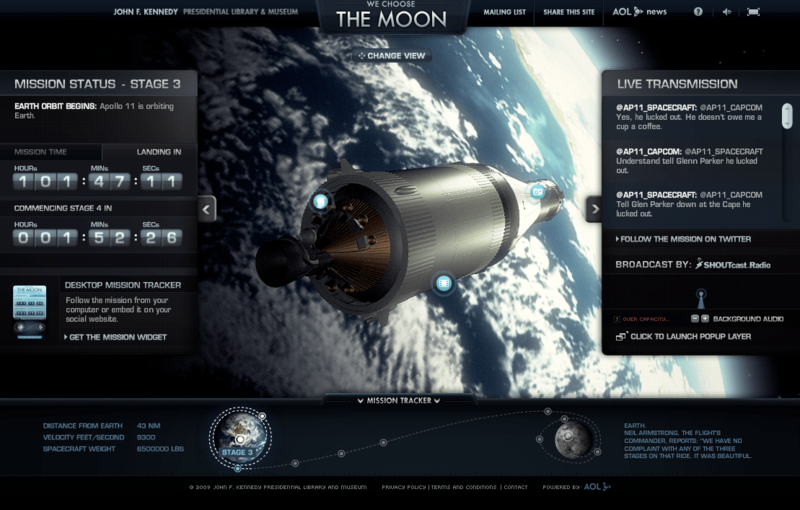 The Apollo 11 mission to the moon is being recreated online. There are lots of ways to follow it, but the best way is probably via Twitter. Three Twitter accounts have been created, one for Houston Mission Control, one for the Spacecraft and one for the Lunar Module. Follow all three to get updates in real time (well, forty years late! ).